Once it was a product almost "confined" to its classic production area: Valtellina. Today, however, this is no longer the case. Bresaola is on the tables of millions of Italians. 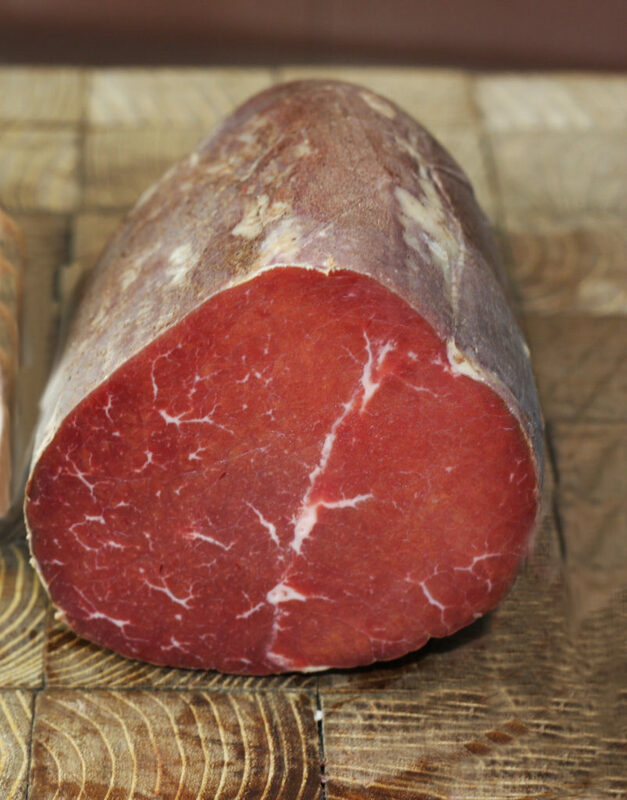 It’s a raw non-smoked salami made with different types of meat. Peruvetti bresaola is prepared exclusively with very special cuts of beef giving it its characteristic flavor and its unique lightness. It’s salted dry with salt, pepper and herbs, then it’s brined for a period of about two weeks. Then we put it into a natural bowel and let it dry and age in constant temperature and humidity conditions so that the product dries slowly and gradually.